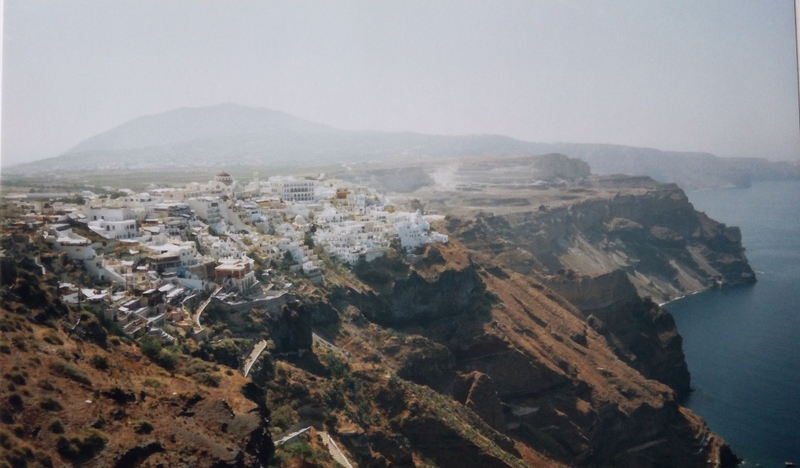 When I asked our Facebook fans last week what I should write about next, Israel or Santorini – they picked Santorini. For me this was my first trip away from Belgium & The Netherlands. We are writing 1996, when clothing and hairdo where very wrong and the digital camera wasn’t invented yet. Here’s a little trip down memory lane! 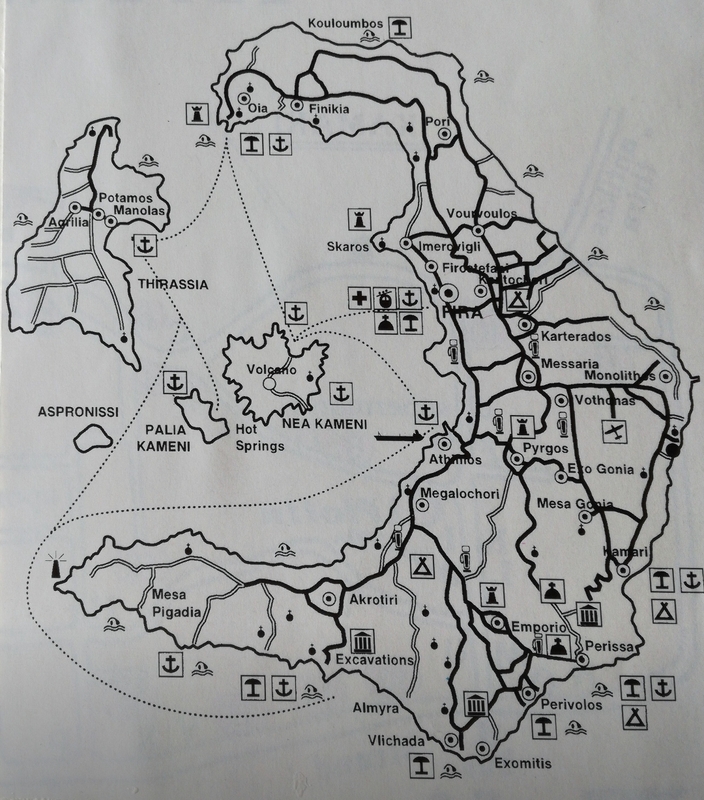 When you look at the map of Santorini, you’ll notice the odd shape. 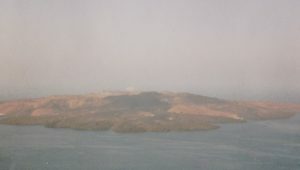 That’s because of the volcanic activity this lovely island has known. In 1512 B.C. 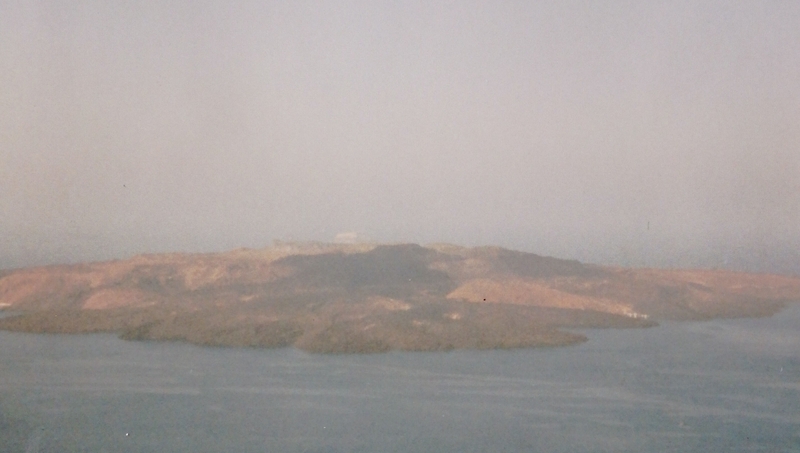 part of the island got blown up by a volcanic eruption, causing it’s odd moonlike shape. Two craters are still seen today: Nea Kameni, which is like a little island you can see from Fira, the capital, and Palia Kameni, which has it’s crater below sea level – an excellent spot to swim in warm water. Most boat tours around the island will take you there. 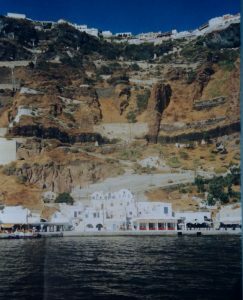 The little island Thirassia is still part of Santorini and hosts a few small fishing villages. 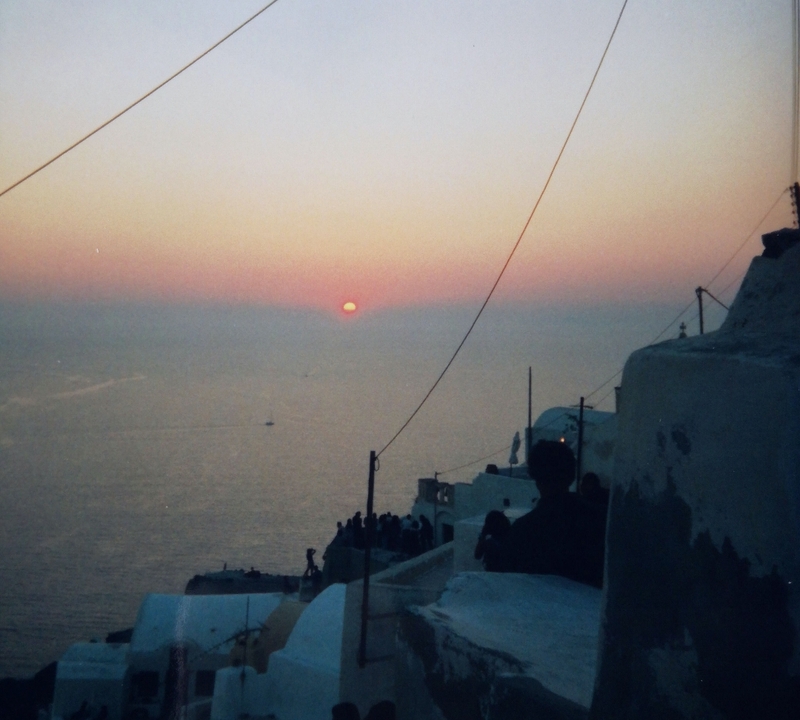 What to do in Santorini? 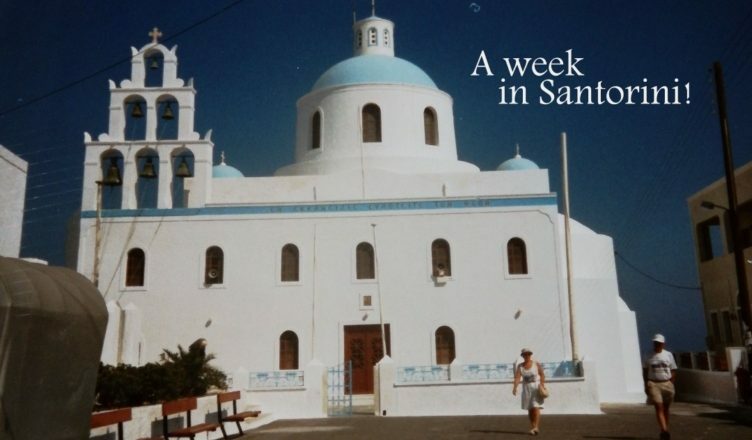 As I mentioned in the title of my post, spend a week there. Not more, maybe even less. That depends if you want to calculate some days in for pure relaxing. If you are looking for some beach fun, than you have to head to the east side of the island. Kamari is the best known spot for sunbathers. It has a lovely beach made of volcanic (and thus black!) pebbles. This means that you have to pack some protective shoes for the beach: water slippers are an excellent idea. And you might want to look into renting one of those beach chairs. The pebbles get HOT during the summer days! The town itself is a cosy and busy spot on the island, with some lovely restaurants who serve excellent seafood. Take in a day to view the island from the sea. You will sail around the island, often getting the chance of spotting some dolphins along the way. The rugged coastline is stunning. 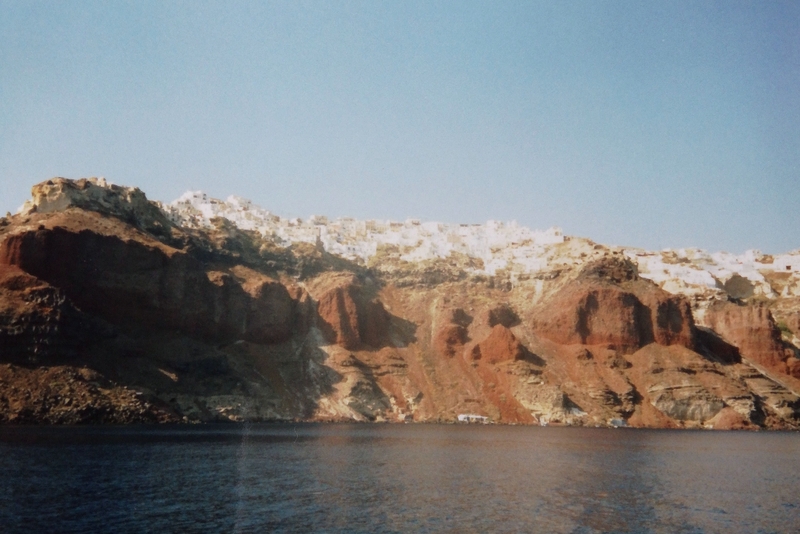 Most boat tours factor in a stop to climb Nea Kameni, and a second one to swim in the hot waters of Palia Kameni. Nea Kameni, as seen from Fira. 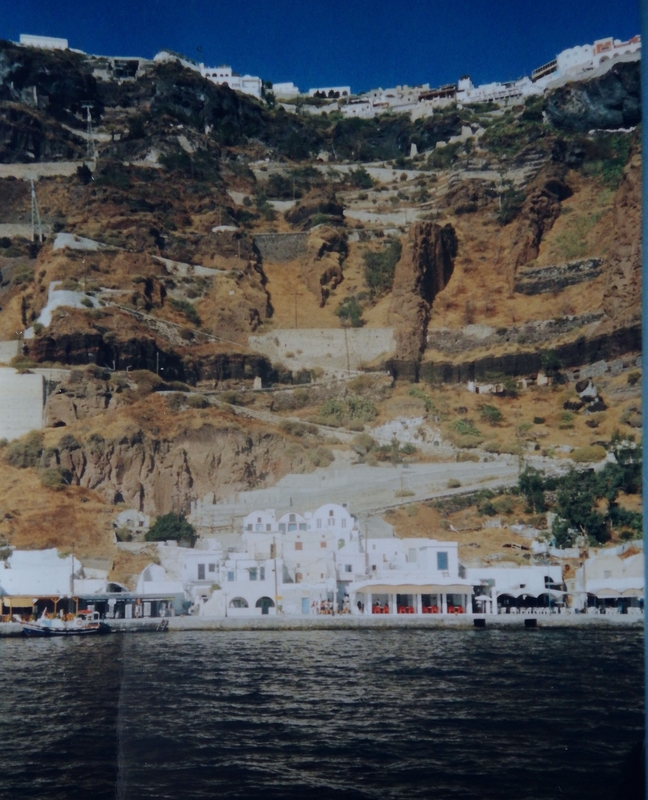 The narrow streets with white houses and blue rooftops are what attract most visitors of the Greek islands. Fira is not an exception. It’s a cosy capital, that invites for a stroll. Setting sun…. As you can see, pretty crowded. Even back in 1996. Akrotiri used to be a rich tradecity in ancient Greece, that got covered with a thick layer of ashes in the big volcanic eruption that caused the odd shape of this island. A bit like Pompeï, if you will. 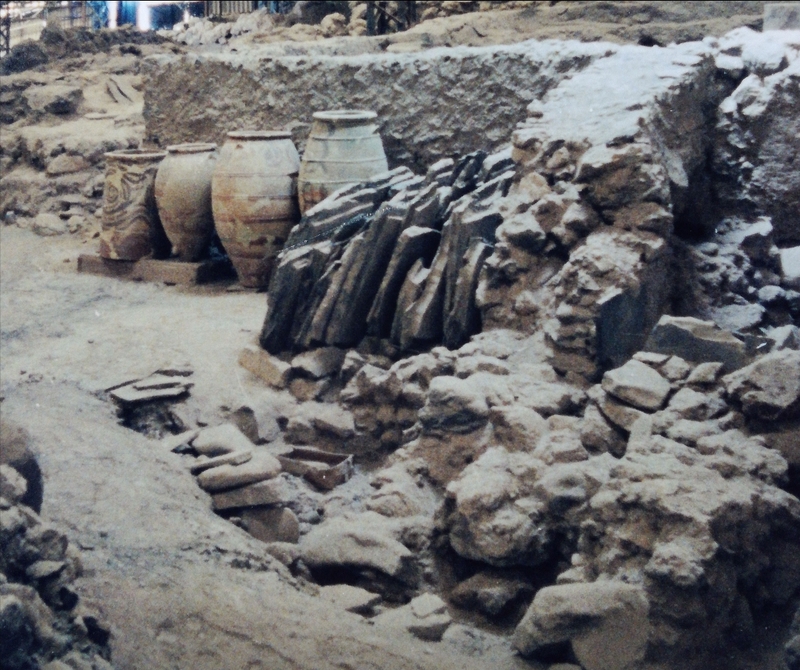 This city was re-discovered in the 1960’s and excavations started since then. It’s a must see if you’re interested in ancient culture. My picture might not say that much – but keep in mind that I was only 15 years old and there was no digital photograpy. My camera had 24 pictures to be taken on the whole trip 😉 The site is really a must-see. Check out TripAdvisor if you don’t trust me based on this pic (which I would totally understand!). 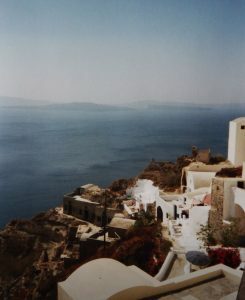 Santorini is a small island. This means that you can get around pretty easy by public transport. Save a few bucks on that car hire and dine out a couple of times extra – you won’t regret it! If you have visited the island more recently and have some extra tips to share, feel free to do so in the comments! I would love to hear about them! Searching for dragons in one of the most underestimated museums of Brussels. We send out one e-mail each month, with our latest blogposts included. No spam, we promise! Sign up below!